This Crock Pot Buffalo Chicken is a super creamy and delicious dinner you can serve in many delicious ways! With only 5 ingredients, minutes of prep and a slow cooker you can have dinner cooking in no time. This recipe combines the perfectly seasoned chicken with cream cheese and just the right amount of buffalo sauce for perfectly delicious shredded buffalo chicken. 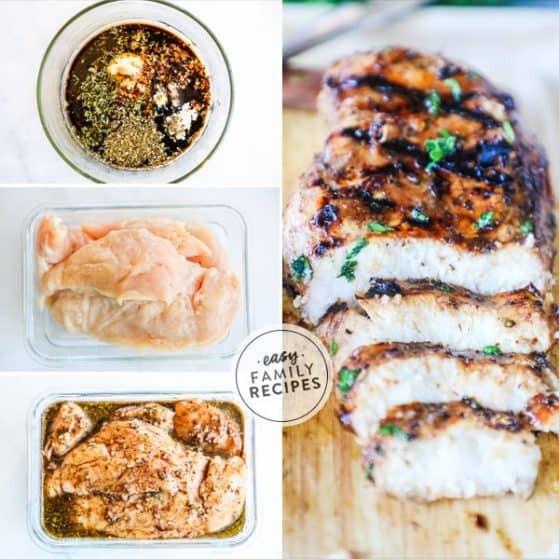 Not only is this recipe incredibly tasty, but it is also low carb, gluten free and easily used for meal prep. We are huge buffalo chicken lovers in our house. 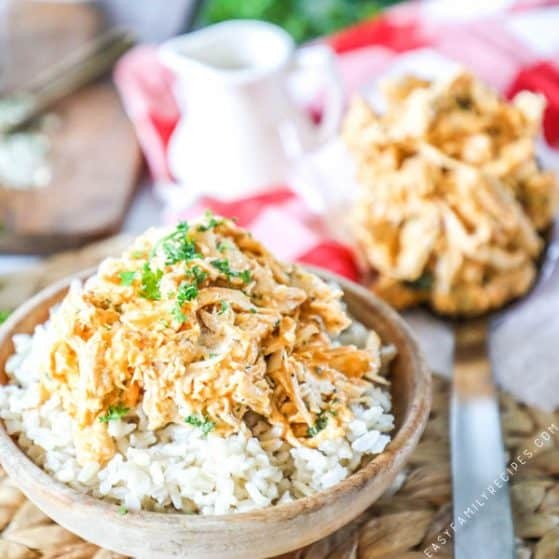 I didn’t grow up eating it but, my husband introduced me to the deliciousness that is buffalo sauce early in our relationship and since then, we have been creating many variations of meals with it, but this Crock Pot Buffalo Chicken is one of our favorites! So tell me… What is Buffalo Chicken Anyway? Buffalo chicken actually has kind of a fun origin. It originates from Buffalo, NY where in 1964, a college aged son came home late with some buddies and asked his mom to make them a snack. Fortunately for him, his mom owned a local bar and eatery, the Anchor Bar so she knew her way around packs of hungry guys. She thew together chicken wings with a sauce she created with a combo of cayenne pepper sauce and butter. These became a staple for the bar, and soon a staple of every bar around the nation. It is true that originally buffalo chicken really referred to wings, but since then, many variations have popped up and I happen to think that this slow cooker version is one of the tastiest! You get all of the delicious taste, combined with tender chicken and no bones! With all this talk of cayenne pepper sauce you may be wondering just how spicy Buffalo Chicken is. Buffalo Chicken ranges from mildly spicy to very hot depending on how much buffalo sauce you choose to use. Since this recipe has cream cheese in it, this helps to neutralize some of the kick and really brings out the delicious flavor that can be otherwise hidden by the heat. You can choose to use more or less buffalo sauce to make the dish more or less spicy. 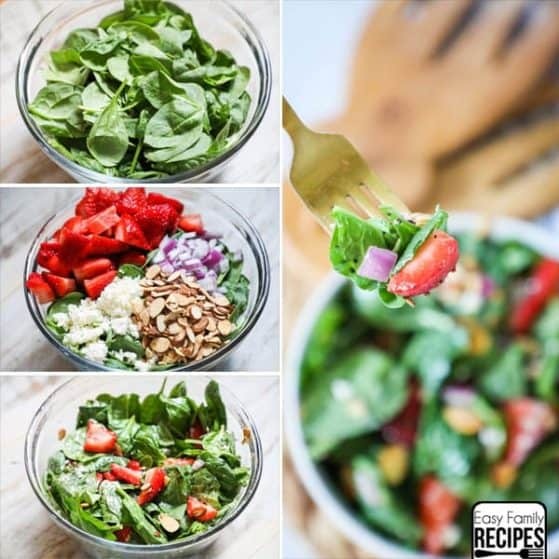 Salad– Try a green salad with blue cheese, ranch, or I especially love my homemade gorgonzola! Serve it on the side, or right on top of the salad. Starch– As with the salad you can serve the Buffalo Chicken on the side, or right on top of these options. Once you serve the Creamy Buffalo Chicken on top or on the side of one of these, consider topping it with one of these options to kick up the flavor another notch! 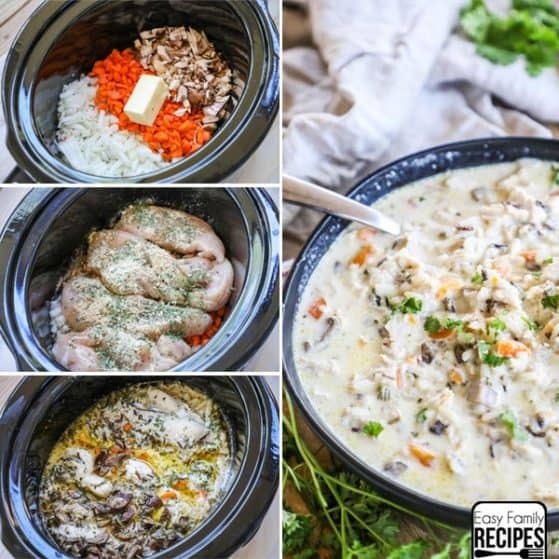 Trim any excess fat or cartilage off of the chicken before placing it in the crockpot. You will get a much better and easier to shred result if you do this. 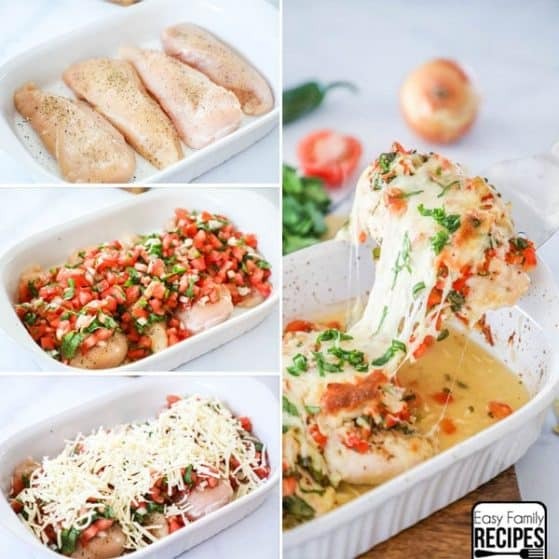 I always make this recipe with chicken breast, you can try other boneless, skinless varieties of chicken with this recipe such as chicken thighs or tenderloins and most likely have a good result, however I have not personally tested these. Cooking time may vary based on cut used. I recommend using my homemade ranch seasoning. It is packed with flavor and you can whip up a batch and it will stay good on the shelf over a year! It won’t stick around that long though because it is good on absolutely everything. The best part about it is that since it is homemade you can easily verify it is gluten free and there are no sneaky carbs or sugars. 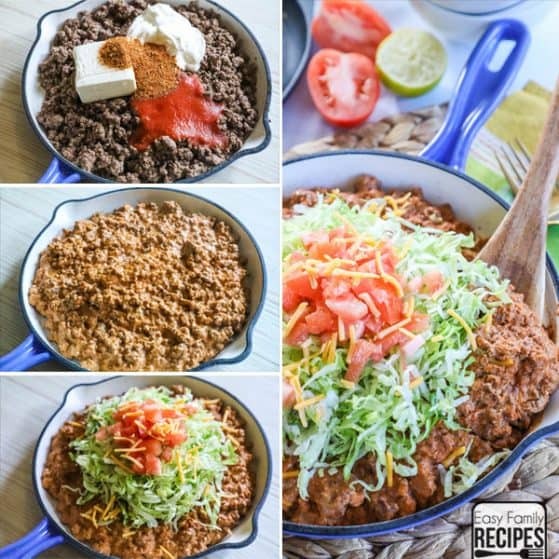 If you want to make this recipe more quickly, you can absolutely use a package of Hidden Valley Ranch Mix with great results. I do this often myself! You can substitute light cream cheese, however fat free cream cheese does not work well in this recipe because it doesn’t melt the same. You will want to cook the chicken to an internal temperature of 165˚F to comply with food safety standards. I recommend cooking the Buffalo Chicken for about 2.5 hours on high. 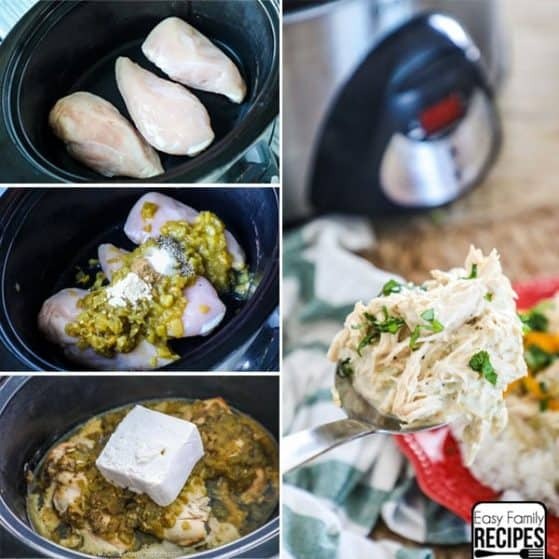 Although you can leave chicken in the crock pot for an extended amount of time without it burning, it still will get over-cooked and then have a more dry texture then when properly cooked. You can also cook it on low for 3.5-4 hours in the slow cooker. I usually use Frank’s Red Hot Buffalo Sauce. I have used several brands with great results though. You will usually find Buffalo Sauce near the condiments or salad dressing in the grocery store. Make sure to buy a big enough bottle to get the 1/4-1/2 cup recommended for the recipe. You can find a recipe for homemade buffalo sauce here if you want to make your own instead. I recommend adding the buffalo sauce in slowly the first time you make this dish. You can add more or less buffalo sauce to the dish depending on the level of heat you want it to have. 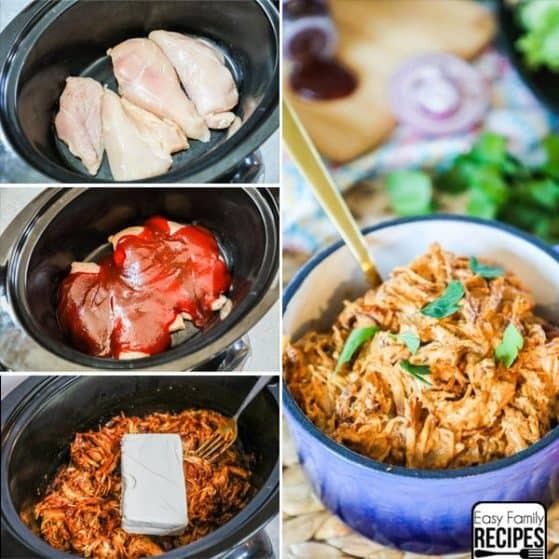 Can I Freeze this Crock Pot Buffalo Chicken Recipe? Yes! This recipe freezes well both before and after cooking. 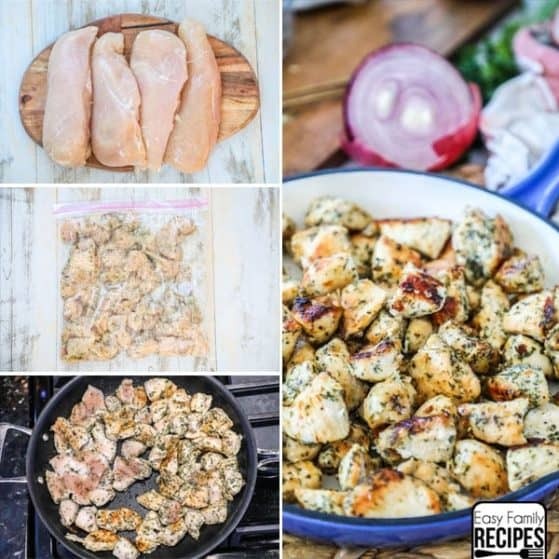 Place chicken, ranch seasoning, and broth in a zip top bag or air tight container. When ready to cook, place contents in slow cooker and cook as directed adding an additional 30 min -1 hour to the cook time. Prepare recipe as directed and cool completely. Package chicken in a zip top bag or air tight container. I like to separate the chicken into meal sized quantities before doing this. Microwave for 2 minutes, then at 30 second increments, stirring in between, until heated through. Heat in a pot over low heat, stirring frequently, until heated through. This Buffalo Chicken reheats well, and is such a versatile dish, making so many different meals that I often double the recipe just to have leftovers! Buffalo Chicken Pizza– On a prepared pizza crust, spread ranch dressing over the top of the crust. Drop dollops of buffalo chicken over the sauce and cover with cheddar cheese or a combination of mozzarella and blue cheese crumbles. Bake as directed on pizza crust. Once out of the oven drizzle with blue cheese dressing and garnish with freshly chopped green onions. 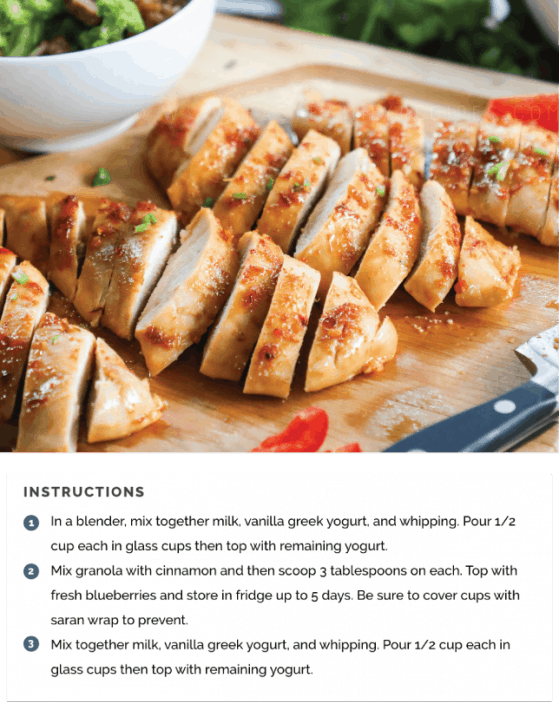 Buffalo Chicken Wraps– On a large tortilla or lavash bread, spread a thin layer of blue cheese or ranch salad dressing. Add chopped spinach, thinly sliced red onion, and buffalo chicken. Add additional blue cheese, or cheddar cheese if desired. Wrap up and enjoy. Use butter lettuce to create a wrap for a low carb buffalo chicken wrap. Buffalo Chicken Sliders- Slice in half, and place slider rolls in a baking dish as tightly as possible. Remove the tops and spread buffalo chicken as evenly as possible over the rolls. Cover with shredded cheddar cheddar or crumbled blue cheese. Place the tops on. Brush with a mixture of melted butter, garlic powder, dried parsley and salt. Bake until heated through and the cheese is melted. Buffalo Chicken Power Bowl– On a base of quinoa, brown rice, or cauliflower rice, pile on buffalo chicken, and your choice of veggies including shredded carrots, bell pepper, red or green onion, corn, black beans, chopped zucchini or squash etc. Drizzle ranch or blue cheese dressing over top and enjoy. Buffalo Chicken Mac & Cheese- Make your favorite creamy mac and cheese recipe (boxed or homemade!) then either pile this on top with a sprinkle of blue cheese and green onions, or mix it right in while you are stirring the creaminess together. If you don’t have a favorite this one would work well! 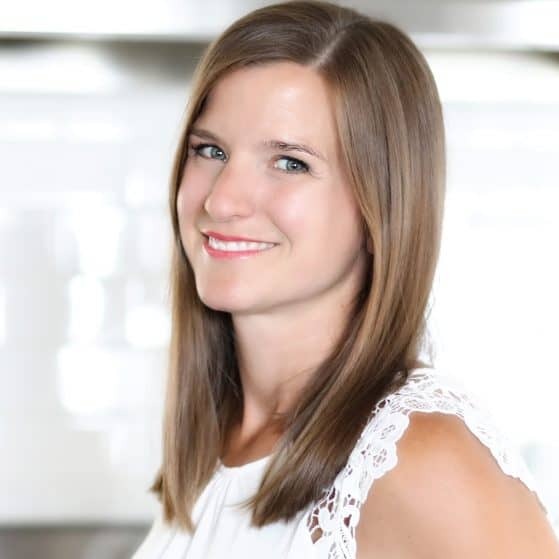 Do you have more Crock Pot Recipes?! 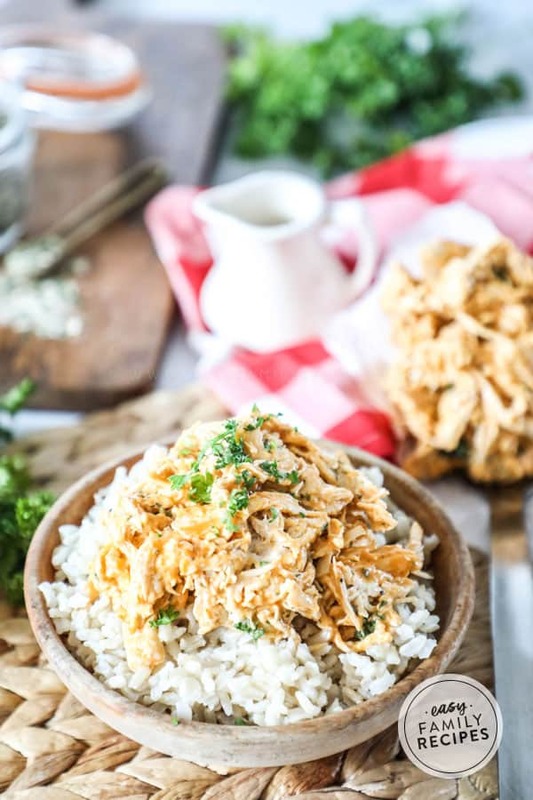 This Crock Pot Buffalo Ranch Chicken is the best combination of creamy and flavorful with the perfect amount of kick. 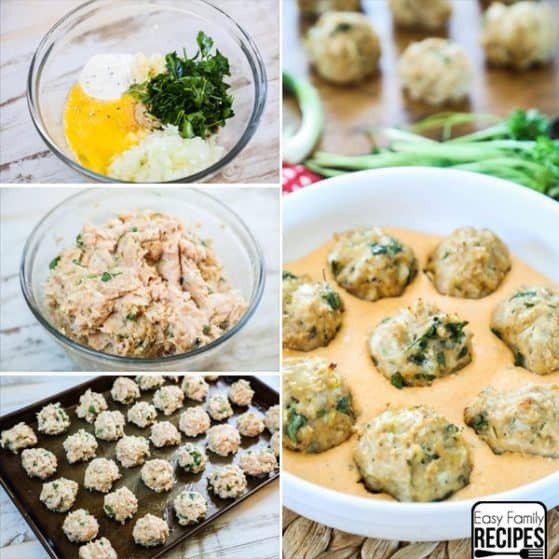 Serve it with rice, mashed potatoes, or keep it low carb with veggies or salad. This meal is perfectly delicious and comforting either way! 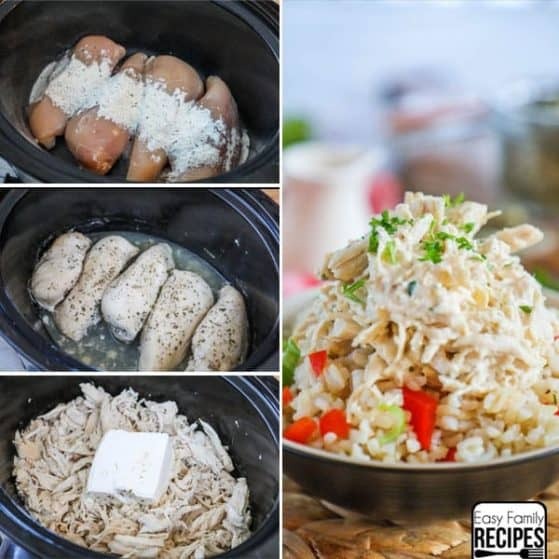 Place the shredded chicken, the reserved ranch seasoning and broth, and cream cheese back into the crock pot and stir until everything is evenly combined. Stir in buffalo sauce adding additional sauce until you reach your desired level of spice. Leftovers can be stored in an air tight container in the fridge for 3-4 days or the freezer for up to 6 months, although I try to use it within a month for the best taste. I recommend you use the homemade ranch seasoning when accommodating for these dietary considerations. Please check all packages of products bought to ensure compliance.